Some people become in love with physics because they’re secretly in love with the truth. Physics never lies, if you care to think in absolute terms, so there must be a great deal of comfort. The reason modern civilization works they it does today is because of our faith in physics and other sciences. If the calculations are performed correctly, you’ll wind up with a predictable result. There are no surprises. Some are better than others at using physics, and some are so confident in their understanding of physics that they’re willing to bet their lives on it – of course, for them it’s never a bet. 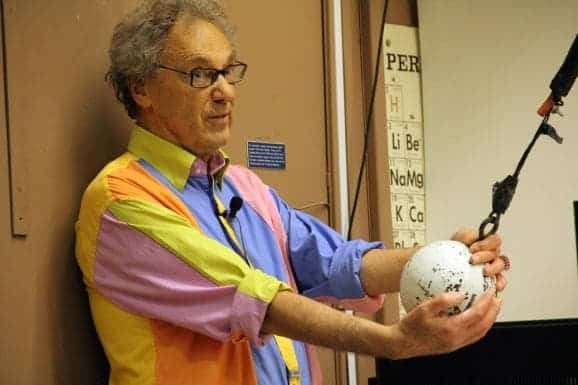 Take Physics professor Walter Lewin from MIT and his eccentric lecture on conservation of energy. I won’t spoil it for you, just check it out below.